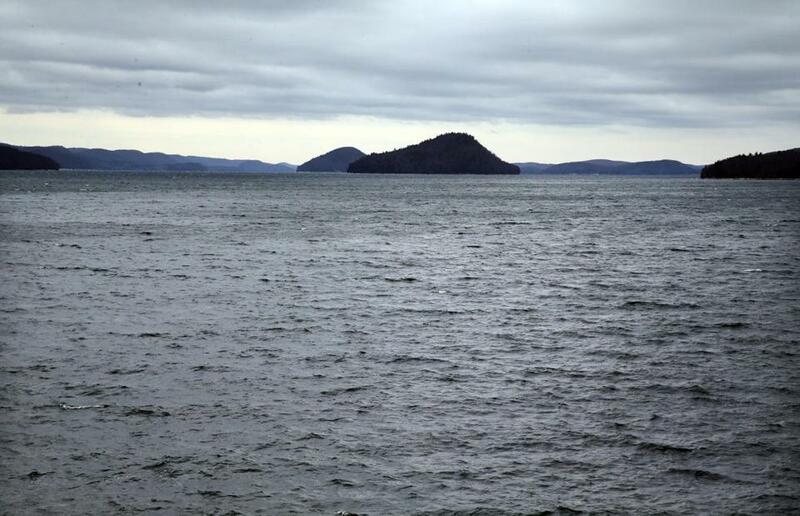 Water levels in the Quabbin Reservoir have dropped below normal for the first time in more than a decade. Water levels in the Quabbin Reservoir — the largest reservoir in Massachusetts — have dropped below normal for the first time in more than a decade, as the state continues to endure a prolonged drought. But officials at the Massachusetts Water Resources Authority say that while they are recommending that customers conserve water, there’s no need to be alarmed. “Even if the drought were to continue for several years, adequate supply exists,” the authority’s staff said in a report due to be presented at a board meeting Wednesday. There’s enough water to meet the needs of all MWRA communities, and “to augment the supplies of some of the adjacent stressed communities,” the report said. The authority considers the 412 billion-gallon capacity Quabbin Reservoir to be at “normal” levels if it is at 80 percent capacity or higher. As of Nov. 1, the reservoir was at 80.6 percent of capacity, and this past weekend, levels dropped to below normal, falling to about 79.8 percent, MWRA spokeswoman Ria Convery said Tuesday. The authority defines below-normal levels to be 65 to 80 percent of capacity. The Quabbin last dropped to below-normal status around Christmas Day 2001 and water levels fell as low as 75.5 percent of capacity on Veteran’s Day 2002. But by Memorial Day the following year, water levels had returned to normal and have been normal until the weekend. The MWRA supplies water to about 2.2 million people and 5,500 industrial users across 51 communities, primarily in eastern Massachusetts and including Boston. The shift to below-normal status will not require mandatory water use restrictions for MWRA customers. “Over the next few weeks, MWRA will be sending out public service announcements and utilizing our website and social media to ask residents and businesses in our service area to save water wherever they can,” the authority said. MWRA officials also plan to contact member communities to remind them about water conservation tips on its website that can be shared with their customers. “MWRA has conservation brochures, as well as low-flow replacement aerators for kitchen and bathroom faucets, and low-flow shower heads, available to our member communities (and individual customers) free of charge,” the authority said. Convery said that “the good news is daily demand has dropped off a lot since the summer,” and many customers already take steps to conserve. “There’s a good track record, and it’s kind of ingrained and businesses have become so much more efficient,” she said. The MWRA also manages the 65 billion gallon Wachusett Reservoir. Capacity for that reservoir was well within the normal range at 91.1 percent as of Nov. 1. Water from the Quabbin flows into the Wachusett before it heads to the Boston area.